"Light Yagami is an ace student with great prospects - and he's bored out of his mind. But all that changes when he finds the Death Note, a notebook dropped by a rogue Shinigami death god. Any human whose name is written in the notebbok dies, and Light has vowed to use the power of the Death Note to rid the world of evil. Butwill Light's noble goal succeed, or will the Death Note turn him into the very thing he fights against?" With Near openly suspecting the new L of being Kira and sowing doubt in the hearts of the task force members, Light is once again forced to pass the Death Note on to another to take the heat off himself. But this time, Kira chooses a disciple from among his true believers. With no way to contact his successor directly, Light must rely on his faithful follower's adherence to Kira's goals. Will this newest move bring Light's ideal world closer to reality? Or will losing control of the Death Note spell Light's doom?" 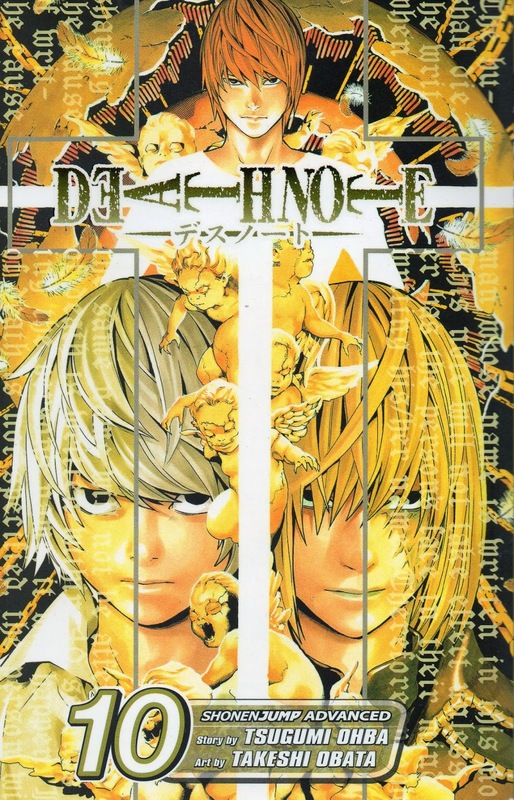 Outro mangá para todos poderem saber mais, o décimo volume da colecção Death Note. 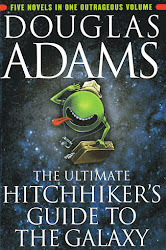 E por mais impressionante que pareça apesar de faltarem 2 volumes para acabar a história, mais um com coisas extra, este volume não dá início ao fim, se é que me faço entender. No início do volume a história começa a dirigir-se para o motivo central e o avançar finalmente da história, no entanto quando o leitor chega a meio da história apercebe-se de que os autores foram buscar mais uma ideia para meter no meio do volume para aguentar mais algum tempo. E ainda parece que simplesmente nuns volumes os Shinigamis aparecem e têm mão naquilo e ajudam ou atrapalham e noutros parece que quase não existem, o que a meu ver é um pouco insatisfatório, já vi que prefiro os volumes onde há bastante interacção entre Shinigamis ou quando se sabe mais sobre o mundo deles.